Dating from Around 1790 In the Georgian Era, This Striking Mahogany Antique Supper Table has a large beautifully figured top with moulded edge with tilting mechanism and unusual bird cage mechanism which allows the top to revolve on the base. 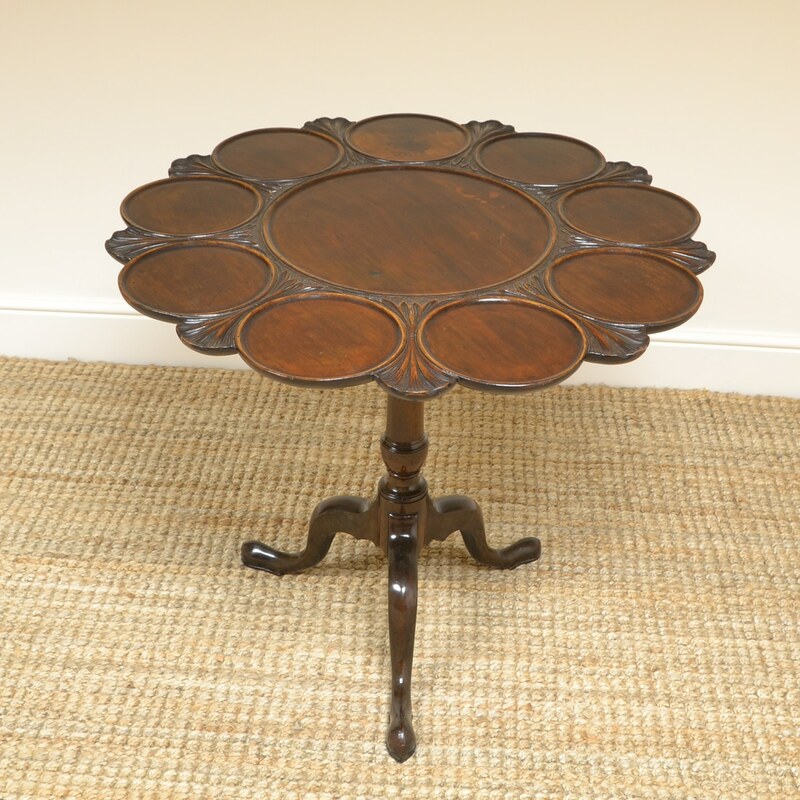 Dating from Around 1790 In the Georgian Era, This Striking Mahogany Antique Supper Table has a large beautifully figured top with moulded edge with tilting mechanism and unusual bird cage mechanism which allows the top to revolve on the base. 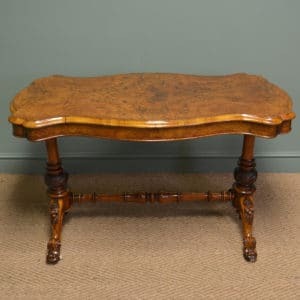 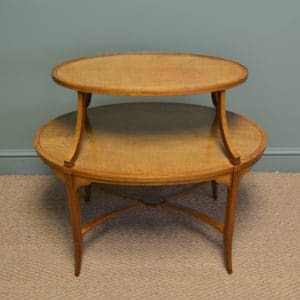 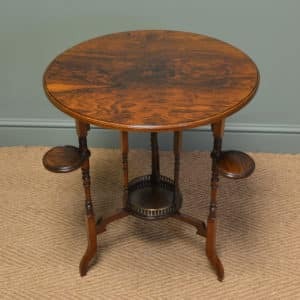 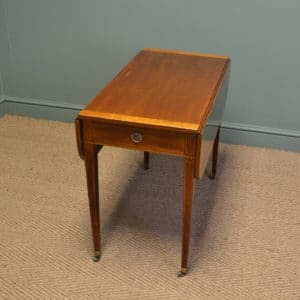 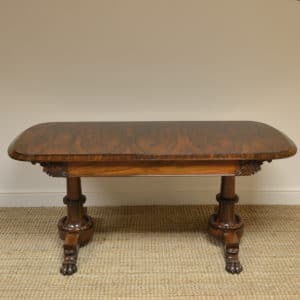 This splendid antique table stands on an elegant turned pedestal with tripod splayed legs and pad feet is full of beautiful charm and character and has aged to a warm mahogany shade with a striking grain, good patina, is in very good condition and has been beautifully cleaned using a traditional form of wax finishing.